The Italian team Solaris Motorsport has its roots in the homonymous Swiss-Italian team, winner in the past in the Sports Prototype Championship. The first important engagement of the Solaris dates back to 2007, when the team agreed to become a team of reference for the Italian Radical British manufacturer. In 2008, Solaris Motorsport, thanks to victory in World Cup Radical, again with Francesco Sini, accepted to join the world’s fastest challenge, the Radical European Masters Series series, established with the aim to bring together the best participants of the national championships accompanying the events of the Le Mans Series. Solaris Motorsports participated in the premier class, the Radical SR8LM in which the frame is forced extremelly by the powerful 8-cylinder engine of 460 hp. 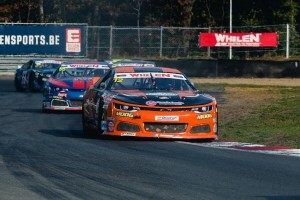 Solaris Motorsport crowned champion at the first year, never equaled in the new series. In the same season the team has also developed, on behalf of the British manufacturer, a version of Radical Sr8LM for endurance competition, immediately seizing important results at the end of the season culminated with an excellent performance in the 6 hours of Vallelunga Gold Cup: Third position in the qualification, Third position in Race and Victory of the LMP2 Class, First prototype ever in the target. After 2 interlocutory seasons Solaris Motorsport decides to throw in the Superstars Series with Francesco Sini again (this time in the dual role of driver and co-owner), his PR e Relation Manager Laura Sini (“Ringhio” ‘s sister and his swadow during the racing weekend), and Roberto Sini (father and trusty consultant of Francesco) improving and expanding the organization of the team. The 3 owner together with Cristian Grasso (now trusty consulent), try to challenge the official team of BMW, Maserati, Mercedes and Audi to win the Superstars (now EuroV8) title, running the Chevrolet Lumina 6.2 V8 and the muscle car Chevrolet Camaro with the same powerful 6.2 V8, betting on their extraordinary passion. 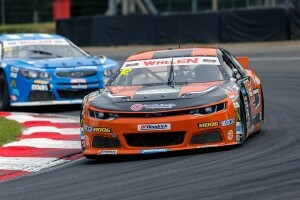 After a first year used to improve the big potential of the muscle car, in 2014 Francesco Sini and the Solaris Motorsport built Chevrolet Camaro won the EuroV8 Series title, scoring 3 victories and gaining, thanks to the contribution of Lumina, 10 podiums in 10 races. At the end of 2014, Solars Motorsport made its debut in GT races, scoring at first attempt an historical European first victory for Chevrolet Camaro GT3, winning with Francesco Sini and Tomas Enge the Monza Race 2 of Italian GT Championship. A little sign on motorsport history. Ended the EuroV8 Series experience and after the great debut in the GT scenes, in 2015 Solaris Motorsport joins in the Italian GT Championship, always with the Chevrolet brand. The car is a powerfull Corvette Z06R GT3, able to catch a great podium with the 2nd place in Monza thanks to the talent of Francesco Sini and Daniel Keilwitz. From half of season, Marcello Puglisi joins Ringhio in the cockpit of the american coupè, giving life to a very competitive duo. In 2016 Solaris Motorsport changes everything and accepts a new and difficult challenge, becoming Aston Martin Racing Team Partner in the Italian GT Championship. After 4 winning years, for the first time the Italian team leaves the American brand and becomes reference point of a full of story brand such as Aston Martin. Francesco Sini and Max Mugelli share the Vantage GT3 cockpit in the Italian GT Championship.